If you’ve closed your child care business and need a place where you can sell those products, preferably to places that will make good use of them; an excellent place to do that is through online auctions. Online auctions allow sellers of products to post their products with a minimum bid price and buyers to bid until the auction closes. The highest bidder wins. If a product is highly desirable the price can often be pushed toward the original retail price. This is an infinitely better price than yard sales, close out sales, and thrift store sales where you are basically giving the products away. Online auctions are not just regional or national sales, but global sales. People from all over the world are on the Internet at all times of the day and night. In no other venue can you reach more potential buyers than the Internet. Internet access is not limited to a certain day or time of day; you can manage your auctions at any time of the day or night that is convenient for you and managing your child care business. As a general rule shipping and handling is paid by the buyer. While most buyers will not pay ridiculous rates for handling, or much more than actual shipping costs, you can certainly cover the actual costs of shipping, packaging materials, and labor. Buyers often search the products of sellers from whom they have previously purchased products, making the possibilities for additional sales good. This will help get rid of all the stored child care products. 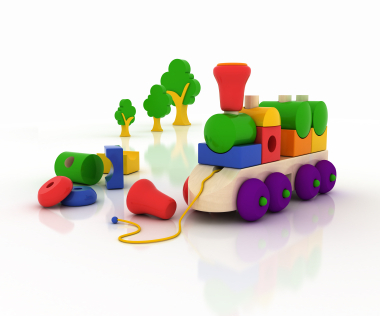 It’s at least worth a good effort to sell your child care products you no longer need online.